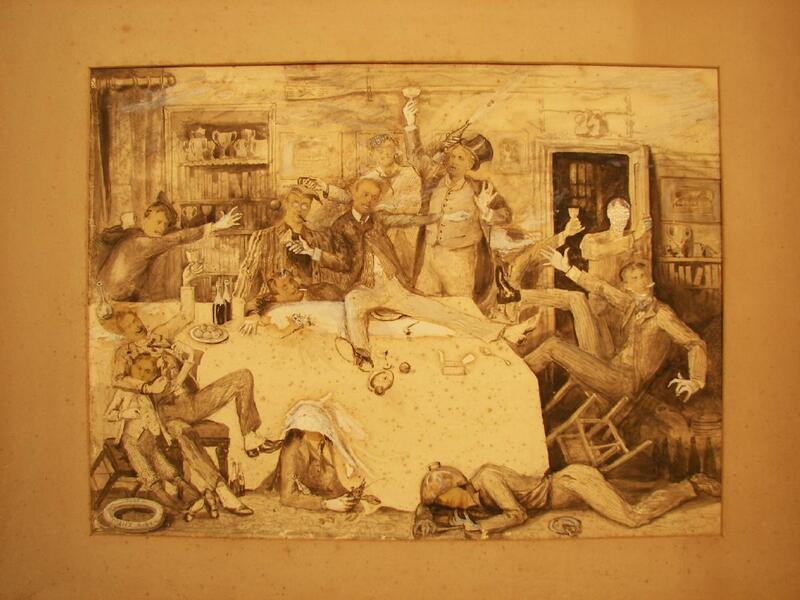 Drawing (pencil, pastel, ink and collage) believed to be of the Cambridge University bumps boat race crew, 1883. A plaque at the bottom of the original frame gave the title as 'A Feast Before a Fast, 6th Feb, 1883'. One of two drawings, this one depicts the crew behaving drunkenly and falling about a dining table drinking wine and champagne. Donated by Mrs Meryick whose husband was descended from F Meryick, a member of the 1883 Cambridge Boat Race crew.